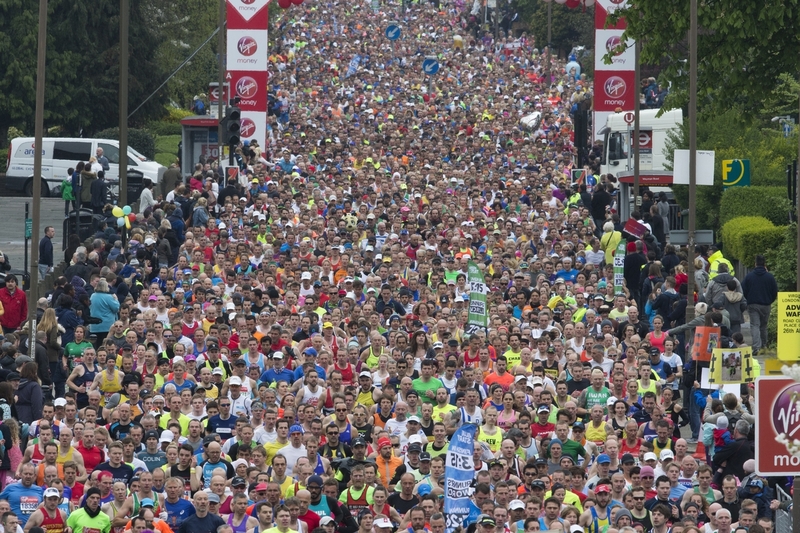 This photograph is supplied free to use by London Marathon/Virgin Money. This Sunday (yes, it’s very real now! ), you’re going to be toeing the Start Line of one of the greatest marathons on the planet. It could change you forever. Completing a marathon can be transformational. Wherever you have come from on your journey to 26.2 miles, whatever barriers you faced, obstacles you have overcome and aspirations you have, it’s now your time to do the business and run, jog, walk your marathon. When you stand on the Start Line in Greenwich alongside thousands of other runners, all with different stories to tell but one common goal ahead of them, remind yourself that you deserve to be there and that you’ll give it your best shot. Don’t panic! Be calm. Breathe! Be excited, courageous and focused. Everything always takes longer than you think so allow extra time. Get up 30 minutes earlier than you think you should. Have breakfast – but don’t go crazy – two to three hours before the race and include carbohydrate, nothing new, and adequate fluids to start the race appropriately hydrated. There is no need to over drink.  Remember all your kit – running number, timing chip, socks, shorts, vest and running shoes as priority. Take warm, disposable kit for the start and allow plenty of time to drop your gear at the baggage trucks and make your way to your start area. Don’t overdress. Dress for halfway and further. You’ll regret lobbing your flashy new jacket if you’re way too hot at Mile eight. Think of the first part of your race as the start area. It’s vital to know your way around. Know where your baggage truck is and where your start area and starting pen is. Once on the Start Line you will spend quite some time standing very closely to fellow runners in your starting pen. You are likely to feel very nervous at this time. Take a few minutes to calm yourself and reflect on all your positive moments in training and racing. It’s natural to feel nervous on the Start Line. You’ll be toeing it with thousands of other runners all as apprehensive as you. Stand confidently on the Start Line and reflect on how far you’ve come in your marathon journey. Once the race starts it may be up to 15 minutes or more before some of you cross over the Start Line, particularly if you’re stood in one of the rear start pens. If you’re in one of the front pens, be ready to control your pace. Once the race is underway and you start moving forwards use this time to stay calm and relaxed and don’t worry. Your timing chip will not be activated until you cross the Start Line. Start your own watch/GPS when you cross the Start Line and not when the race starts. That way you’ll be able to keep a track of your actual run time throughout the race. This is vital to control your pace as the race unfolds. Be patient. Perhaps the most common mistake made by novice (and even experienced marathon runners) is that they start too fast. Your first few miles should feel easy, conversational and in control. Know your Mile One and Mile Three splits and have a personal pace checkpoint at both of these points. Allow your pace, breathing and stride pattern to settle down. Just tick the first few miles of the race off in a consistent, metronomic style. Use as little energy as you can as the race unfolds. Feel yourself get into your running. Once you’ve got the first few miles under your belt you’ll ease into things, the nerves will pass and you’ll find yourself flowing and ready to tackle the distance. You’ll have made your energy and fluids decisions and worked out your strategy before the race. There’s no need to stop at the first water/Drinks Station on course in a panic and neck everything available. If you’re adequately hydrated pre-race, it doesn’t matter if you skip the frenzy of the first Drinks Station. Focus on your own strategy and drink to thirst, take energy on board in the first half of the race to keep you strong in the second. When you do reach an aid station you don’t need to rush for the first person that offers you a drink. Take your time and stay relaxed. There are many helpers passing you a drink and an aid station may stretch for 50 to 100 metres. Often the people towards the middle and back of the aid stations have more space and grabbing a drink is easier. Be patient once you have your drink. Carry it with you and sip it for a while. Before Race Day, review the route and course and know how it’s going to unfold. Break it up into landmarks, features on route, mile markers, points of interest, or where family of friends will be stood cheering. Once you go through Mile Eight celebrate the fact that you have covered the first third of the race. This is a great milestone and one to be proud of. This first third of the marathon is so important. It can really set you up for the all-important middle and final thirds of the race. At this point you should still be feeling comfortable and in control. One of your key marker points and stepping stones for your finish is the halfway point. Hit cruise control for the middle third of the race. Your goal is to reach halfway (13.1 miles) feeling as fresh as you can and really ready to tackle the second half. Your marathon really begins here. It’s really important to be disciplined and controlled but things don’t always go to plan. What happens if you feel good but are minutes down on your target time at halfway? Don’t try to play catch up and smash out the next couple of miles to pull yourself quickly back on track. The best marathons are run with even splits and pacing throughout the entire race so take your time to claw back those valuable seconds mile by mile as the second half progresses. This is also a good time to pay extra attention to relaxing as you progress from Miles 13 to 16. Focus on you and how you’re feeling. Tune in to your body. Take time to relax, run smoothly and enjoy the moment and what you are achieving. Remind yourself how far you’ve come on your journey. Think about how you started your marathon campaign and enjoy the fact that this is it. You are doing it. Compose yourself and get yourself ready for the final third of the race – without doubt the toughest part. Your journey will inevitably be full of ups and downs. You’ll have moments when you feel great and plenty when you don’t. These tough times will pass and with focus and determination you’ll reach the finish. When you do, trust me, it’ll be worth it. Expect a tear or two as you run down The Mall!